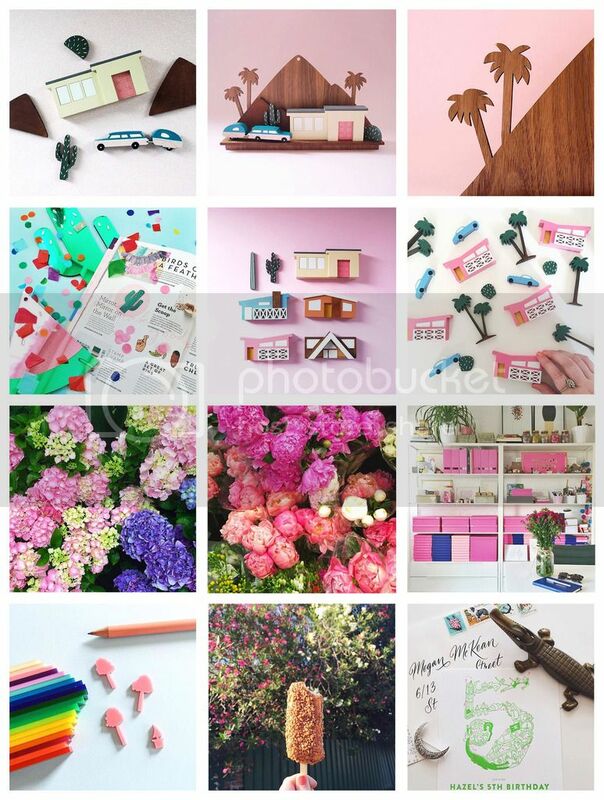 + We launched a new Palm Springs Mini City, the Flat Roof & Caravan Set! We also launched a specialty shelf just to display the Mini Cities on! Handmade from a walnut veneer, it's a very cute way to show off your collections! + A lovely little mention in the most recent issue of Hooray Magazine! Our Cactus Mirror makes an appearance amongst some other talented gal-pals. + Mini City after Mini City. We're pretty much permanently high on paint fumes at this time of year! + Hydrangea and Peony hunting, the best season for flowers. I love to visit florists and garden centres and look at them all in their huge arrangements. + New, teeny tiny samples for the final new project for the year, and one that has been a very long time in the works. Keep an eye out later this week! + Golden Gaytimes on a Sunday afternoon. An essential activity when the temperatures are soaring, and every evening is being spent in the studio. + A very fun project I was delighted to work on earlier this year, realised in all it's letterpress glory. A lucky 5 year olds Peter Pan birthday invitation! It was a dream project to work on, I wish they were all this fun.